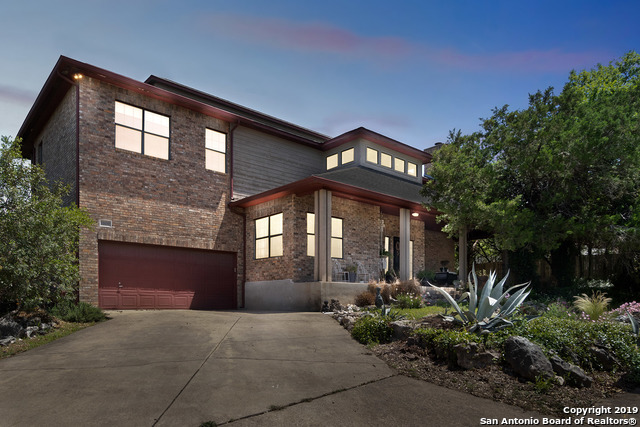 All SAN ANTONIO RANCH homes currently listed for sale in Helotes as of 04/20/2019 are shown below. You can change the search criteria at any time by pressing the 'Change Search' button below. "Drop dead gorgeous views! Hill-top home takes full advantage with massive decks on both levels for outdoor entertaining galore. Beautiful pool, multiple seating areas, and gazebo with grill included. 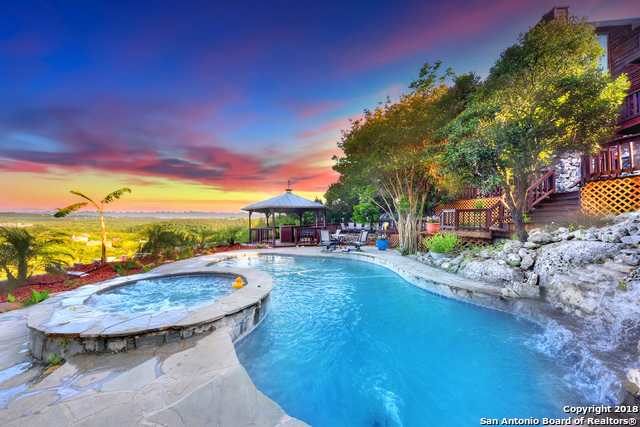 Come see for yourself and imagine relaxing poolside, while enjoying the peace and quiet of the Texas Hill Country. Multi-level windows for picturesque panorama & deck access from nearly every room. RV/boat parking pad along with 2 separate garages." "This 4 bedroom and 2.5 bath home is ready for their new owner. Overlook the Helotes hill country on your second floor balcony. The spacious master bedroom features separate shower and a garden tub. Entertaining will be easy in your kitchen that opens up into the living room. All bedrooms upstairs plus an additional sitting/ living/ game room. This home qualifies for a USDA Loan. You could qualify for this home with no money down!" "3 bedrooms with study that has it's own 1/2 bath (can be 4th bedrm). Custom ranch nestled in beautiful oak trees. Great room has soaring ceiling and has adjacent study with 1/2 bath. Large kitchen open to sunroom w/wall of windows for perfect views of private backyard. Master bath has large shower. AC replaced 2018, roof replaced 2017, Furnace replaced 2017. Wood & tile floors & NEW carpeting in bedrooms. Redwood deck. Country feel without the drive to town. 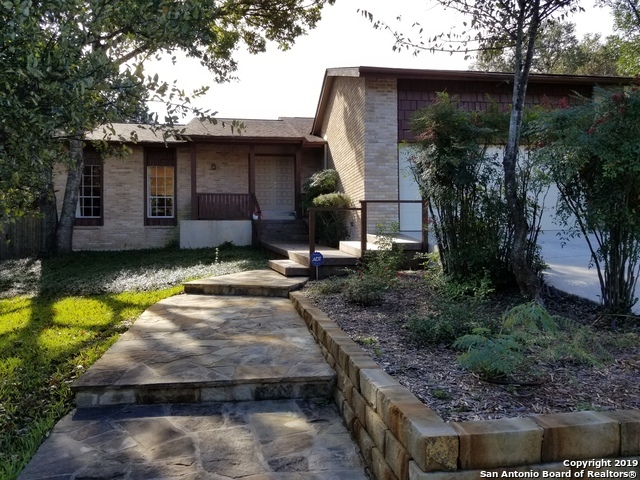 Minutes from Old Town Helotes "
"Lovely well maintained, ranch-style home on a corner lot nestled in the hill country! Surrounded by mature trees, this immaculate 4BD 2Bath features an open floor plan, high ceilings, laminate wood floors and breakfast bar. Recent updates include repainted interior walls & cabinets, refinished countertops & backsplash, master tub refinished & more. $5000 buyer incentive towards upgrades or closing cost. This breath-taking community backs up to Govt Canyon Park. This is a must see Move In Ready!"